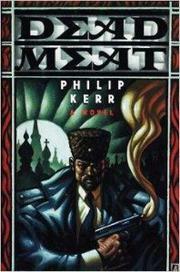  Kerr's nameless narrator, a Moscow police investigator sent to St. Petersburg to observe the local force's tactics in handling the Mafia, gets a closer look than he expected when, hours after his arrival, noted investigative reporter Mikhail Milyukin, long a Mafia foe, is gunned down along with petty Georgian criminal Vaja Ordzhonikidze. Attached to senior detective Yevgeni Ivanovich Grushko, the narrator soon finds that well-hated Milyukin had so many enemies that the queue of possible suspects--gang leaders, dope dealers, smugglers, pimps, outraged newspaper readers--is endless, especially since everybody from Milyukin's widow to the narrator is hiding secrets of their own. But Grushko alertly links the killings to the casual firebombing of the Pushkin Restaurant to come up with a motive even nastier. Not to be compared with Gorky Park, or with Kerr's own peerless Berlin chronicles of Bernie Gunther (A German Requiem, 1991, etc.) --but still a sharp, sour look at a post-Soviet world in which everything and everybody is up for grabs.